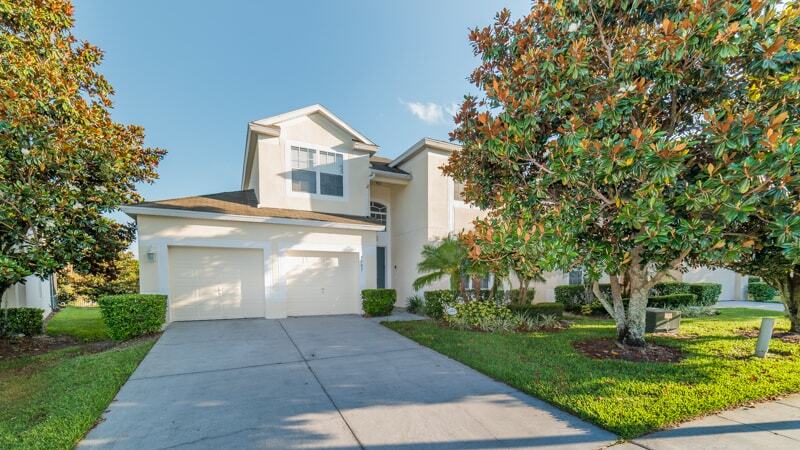 A few miles from all the Orlando entertainment lies this gorgeous 5 bedroom, 5 bathroom home in Windsor Hills. 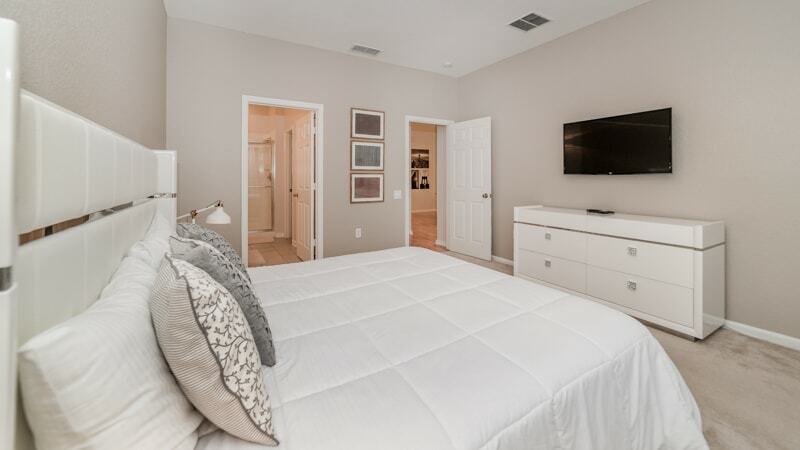 This gated community home sleeps up to 10 guests perfectly where everyone will find their own space on vacation, with 1 king bedroom, 2 queen bedrooms and 2 bedrooms with 2 twins. 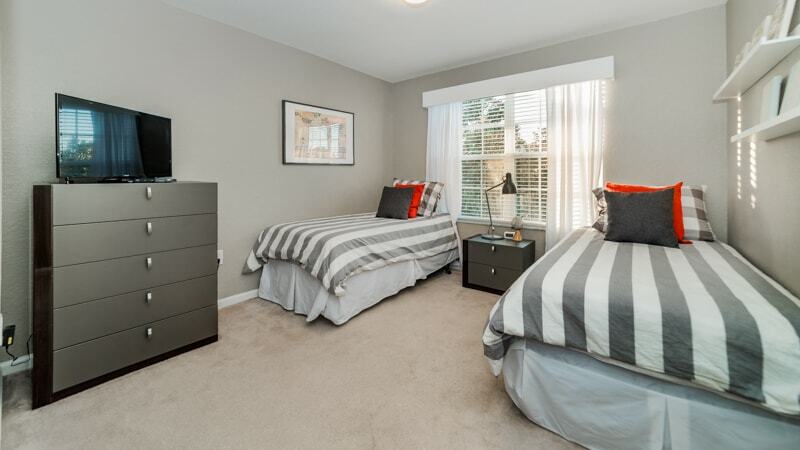 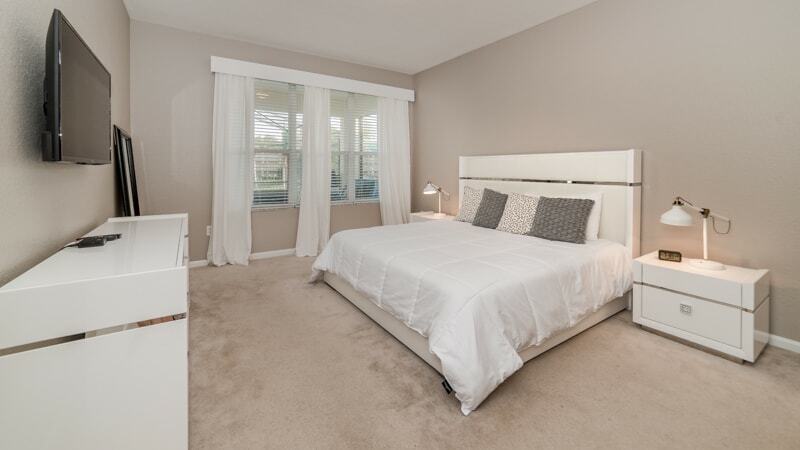 All of the 5 bedrooms contribute to the cozy and modern feel with their neutral colors. 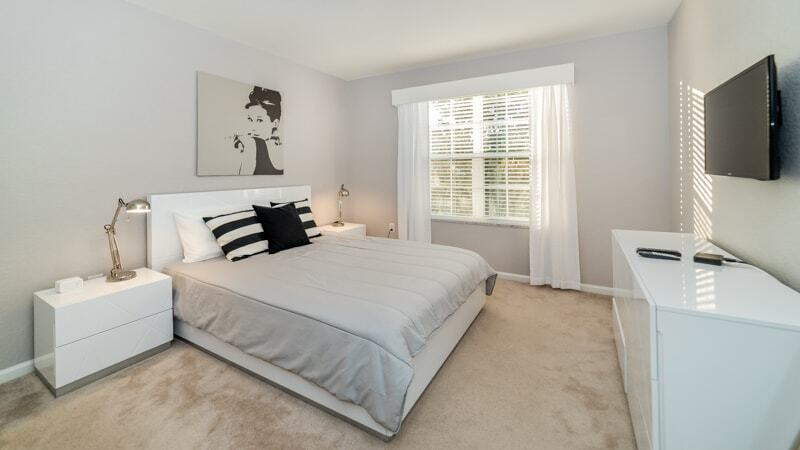 As part of the Grand Collection, this home is styled and designed by professionals with comfort and luxury in mind. 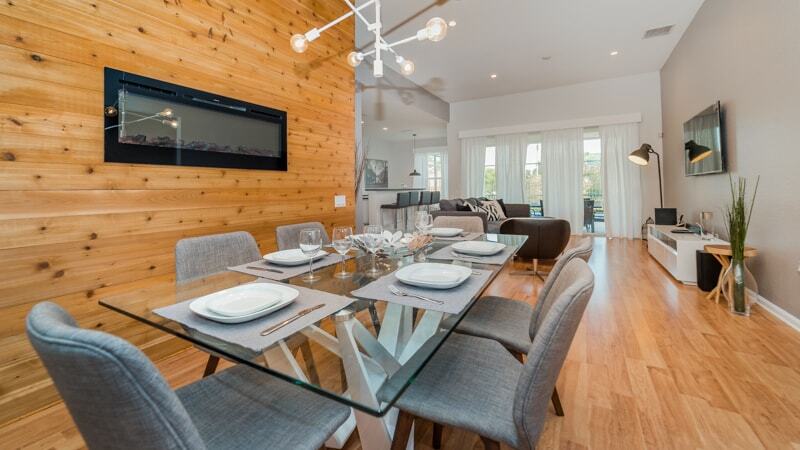 With a newly redesigned concept, this bright and open home is made for family time. 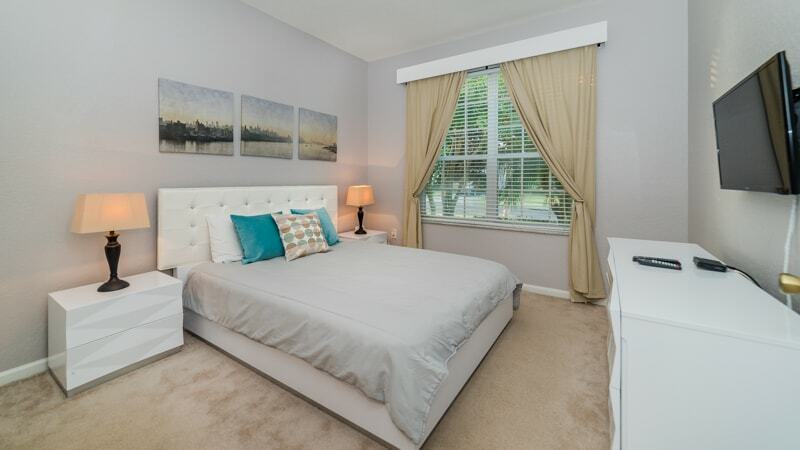 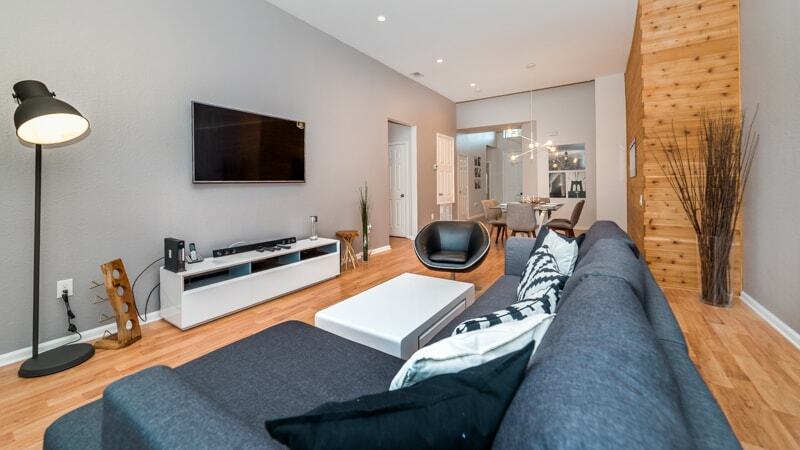 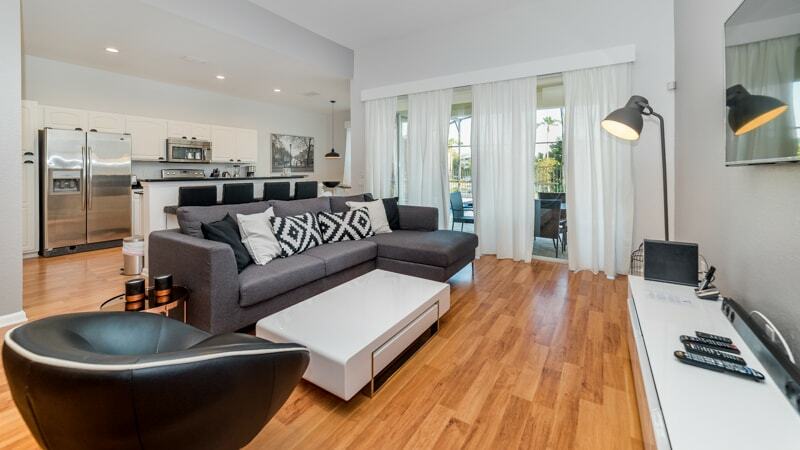 The modern living room features light wood floors, a 60” flat screen TV and cozy furnishings. 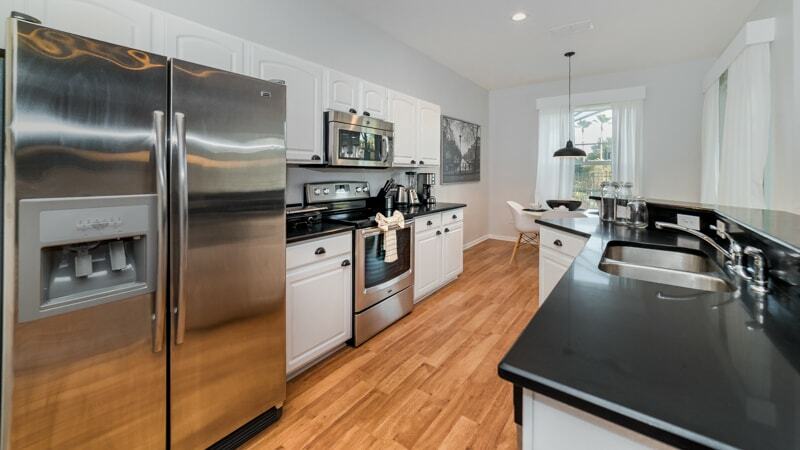 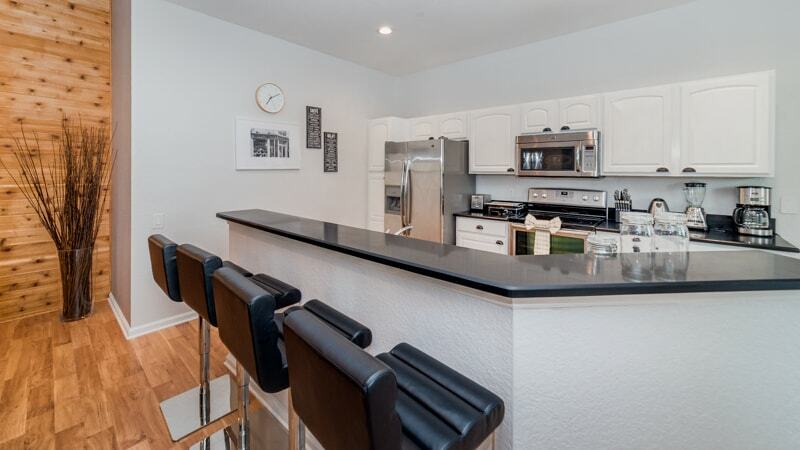 The kitchen features dark countertops, upgraded appliances, a breakfast bar as well as upgraded appliances. 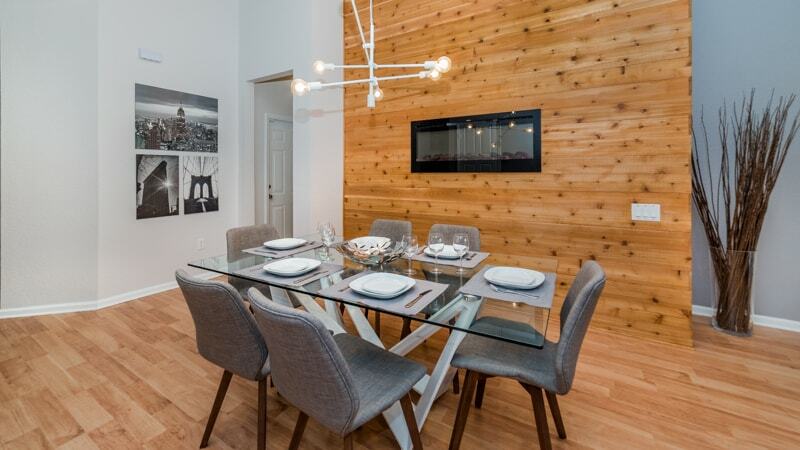 Heading into the dining room, you are surrounded by wood and a built-in fireplace. 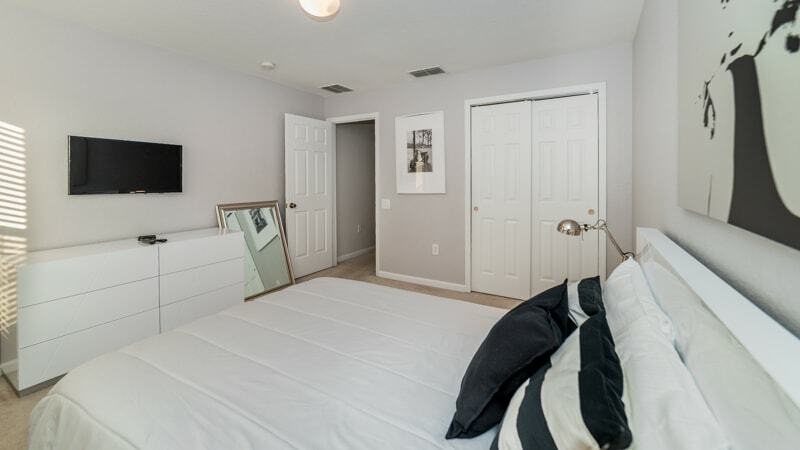 This home also has WiFi as well as a washer and dryer for you to use. 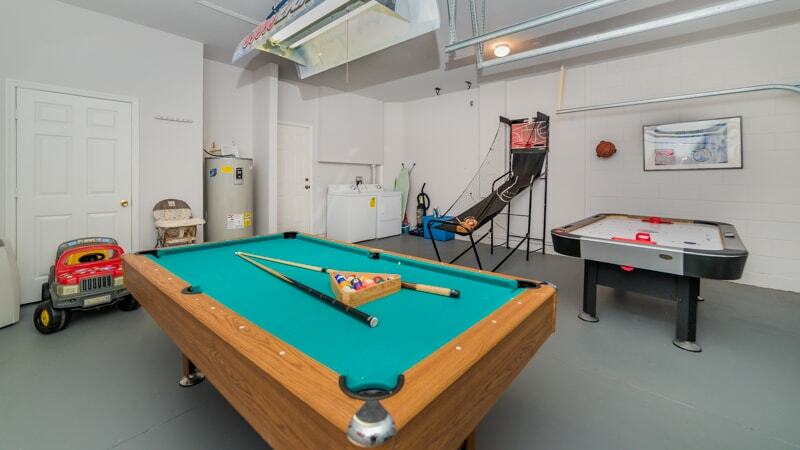 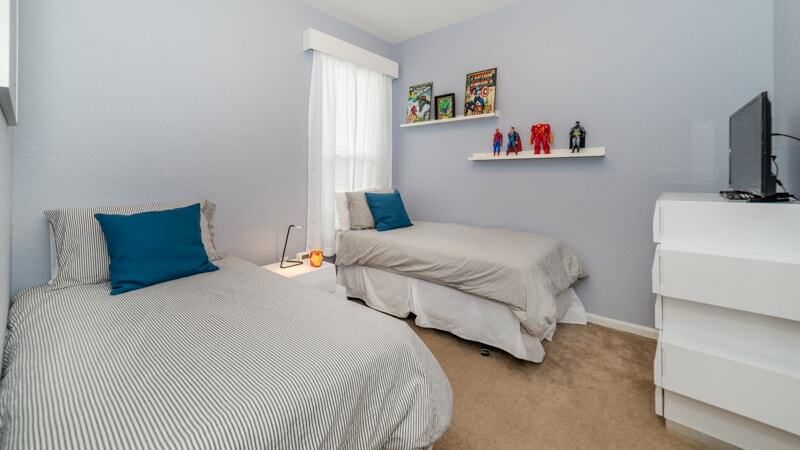 Two additional features of this home are the game room and pool area. 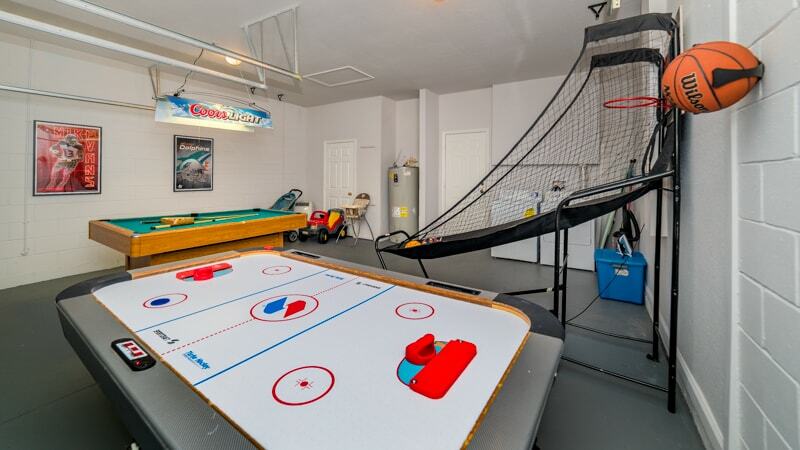 The game room is the perfect place for family movie nights with billiards and air hockey. 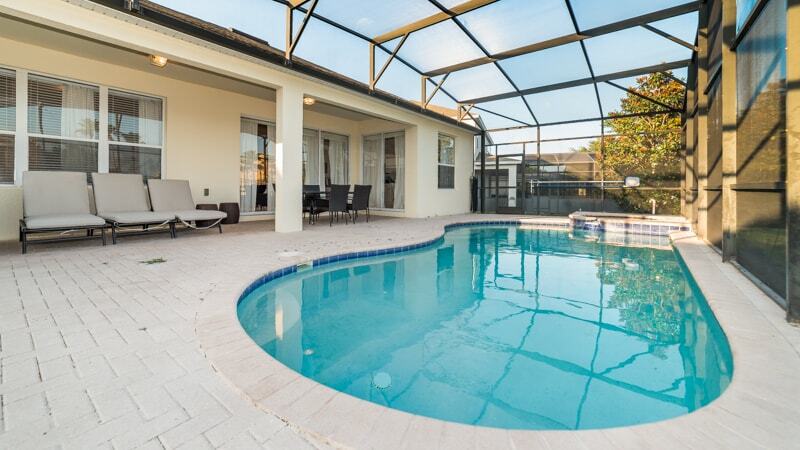 The pool area is also the perfect place to enjoy the Florida sun. 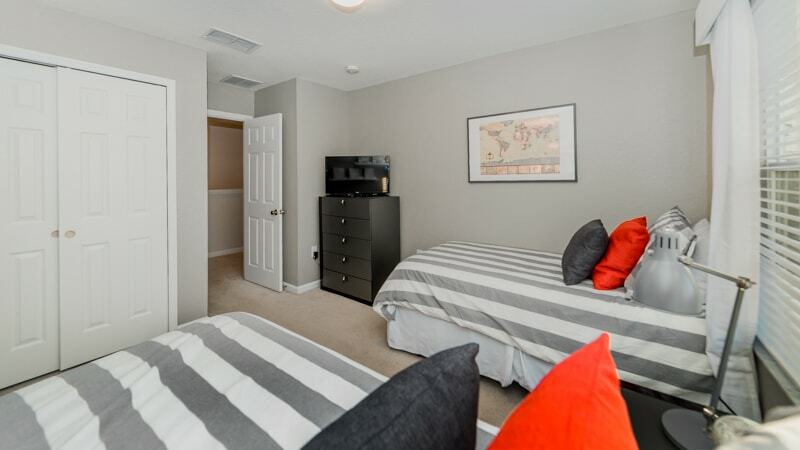 Staying here includes access to the Windsor Hills clubhouse as well. 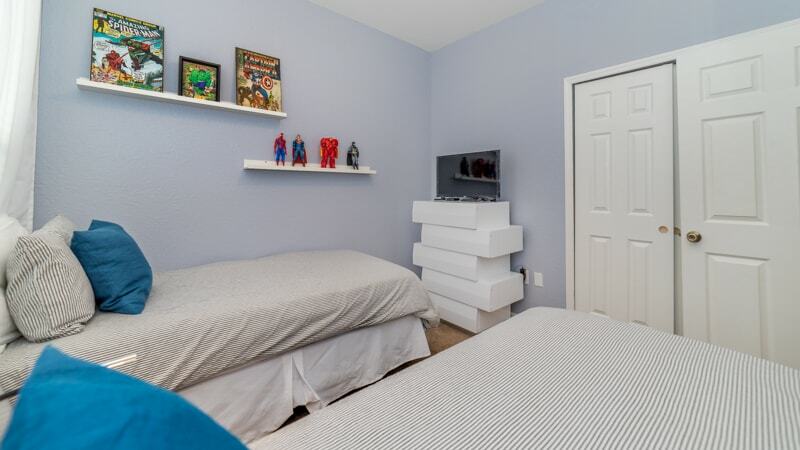 The zero entry pool, slides and movie theatre wall keep you and your family entertained all day. 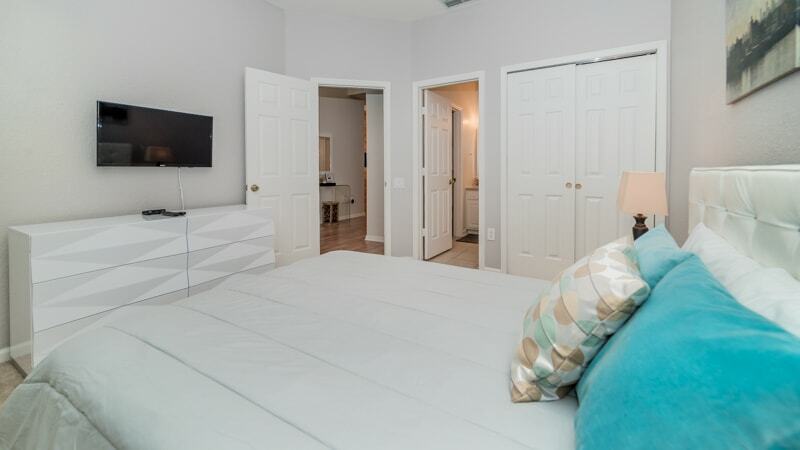 Book your stay today and enjoy your vacation in sunny Florida.